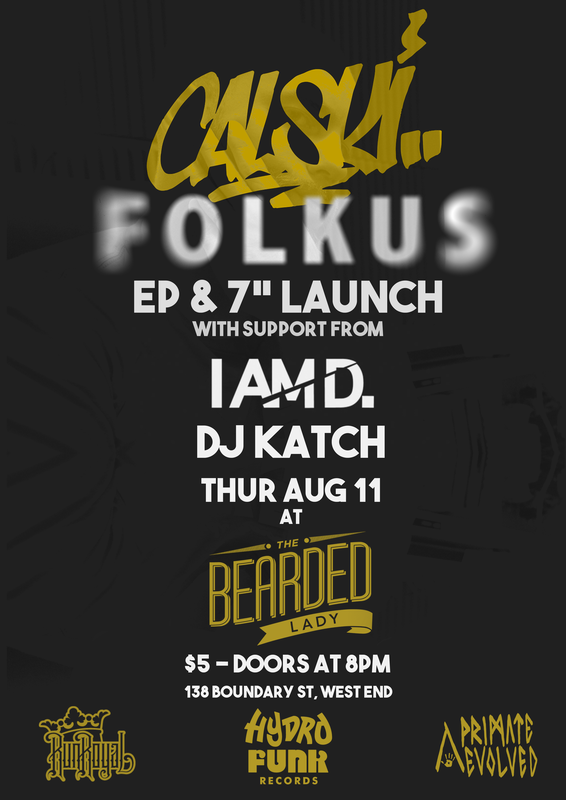 Posted on August 2, 2016, in ARTS & CULTURE, LOCAL KNOWLEDGE, NEW RELEASES and tagged 45s, briggs, Brisbane, Calski, dj katch, ep launch, folkus, hau, Hydrofunk Records, iamd, s, the bearded lady, west end. Bookmark the permalink. Leave a comment.